Dentists have to make a lot of judgment calls. Implant dentists are no exception. 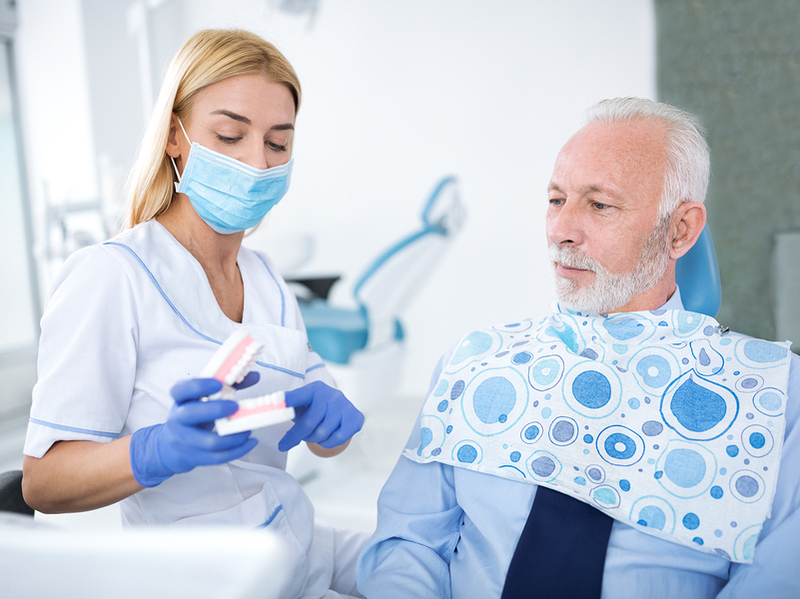 A dental implant specialist must establish which patients are good candidates for implant surgery. It’s just a fact that dental implants have a higher success rate when performed correctly. Success depends on many variables. Choosing the right dentist to perform the procedure is one of them. That’s why our team at Cary Family Dental takes such pride in providing the highest quality general and cosmetic dentistry in the Cary, NC area. An important decision that has to be made up front is whether the patient has enough healthy bone to support the implant. Healthy gum tissue is also critical. Without healthy gum tissue, the implant is partially exposed. This isn’t ideal for the implant nor the crown it supports. An implant needs a durable foundation of bone and tissue. Detached gums should be treated prior to dental implant placement. If you are contemplating a dental implant but have receding gums, there are some options. We invite you to set up a dental implant consultation by calling us at 919-371-4428. You may be a suitable candidate for soft tissue grafts. Tissue grafts augment your existing gums. If the soft tissue grafting is successful, you may be able to support a dental implant. Provided, of course, that you have enough healthy bone structure. Your implant dentist may also counsel bone grafting surgery in addition to the soft tissue grafts. This procedure augments existing bone. Receding gums should not be ignored. You may have gum disease or periodontitis. This is a serious oral health problem on its own. Whether or not you are considering a dental implant. Receding gums can lead to tooth decay and tooth loss. Your overall oral health depends not only on healthy teeth but also healthy gums. So, talk to your dentist about treating gum recession to restore oral health. We invite you to have that discussion with us our team at Cary Family Dental. We will happily answer all of your questions and provide you with all of the important information that you need to decide whether an implant or implants are right for you. Please give us a call today, to set up your consultation for the highest quality general and cosmetic dentistry in the Cary, NC area.